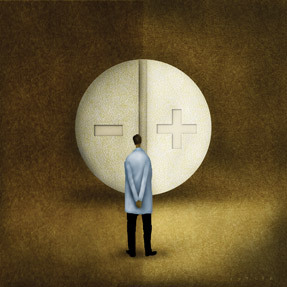 Physicians prescribing and talking to patients about medication should keep in mind their patients' disdain for taking pills and the lengths they will go to not have to take them. How much money would you pay not to have to take a pill every day? Or how many weeks or months of life would you give up to avoid that pill? Researchers at the University of California San Francisco (UCSF) and University of North Carolina recently asked 1,000 U.S. adults questions like these, in order to better understand the utility of pill-taking for cardiovascular prevention. On average, people were willing to pay $1,445 to avoid a daily pill, but 2.8% of the respondents were willing to pay $25,000. The average response to how many weeks or months of life a person would give up was 12.3 weeks, but 8.2% of the respondents would be willing to die 2 years sooner if it meant they didn't have to take a pill, according to results published in the March Circulation: Cardiovascular Quality and Outcomes. The results are particularly useful for cost-effectiveness research but should also be considered when physicians are prescribing and talking to patients about medication, said lead study author Robert Hutchins, MD, MPH, a resident at UCSF. A: I was reading a cost-effectiveness analysis, and the authors had attributed a utility of 1.0 to taking pills. I didn't know what that meant, so I looked into it and found that utility is a number that is used in these sorts of analyses to quantify the quality of life in a given health state. Utility ranges from zero to 1.0, with 1.0 essentially saying that there's no effect on quality of life. The fact that the authors had attributed a utility value of 1.0 was strange to me. People have got to say that taking pills every day for the rest of their life is going to affect their quality of life, even if it's just a little bit. I had taken pills before for short courses and knew that it was a hassle to fill the prescription, remember to take the pills, and actually swallow the pills every day. I did a systematic review and looked into what data were out there about the utility value of taking a pill. I found that there's not very much at all. There was 1 study from a physician at Stanford, who had done a study just at the [Veterans Administration], predominantly middle-aged and older men, and [it was] a small study. The rest of the utility values that I found for taking pills were based on expert opinion. We found there was a gap in the data. Q: Your study found a mean utility between 0.990 and 0.994 for pill-taking. How did those results compare to your expectations? A: What I expected was actually pretty close to what we got. It's close to the expert opinion. We assumed that there would be some effect on quality of life, but the utility value would be pretty close to 1.0. This isn't like being in the hospital, getting dialysis every day, or being paralyzed for the rest of your life, all of which we would expect to have much larger effects on quality of life. What we were actually surprised about was the way the respondents' answers were distributed, a kind of bimodal distribution. We found a lot of people said, “This doesn't really affect me much at all, maybe just a little bit.” Then there were also a pretty good chunk of people on the other end of the spectrum that responded in a way that suggested they hated taking pills and this was really affecting their quality of life a great deal. Q: Did you find any demographic factors that could predict responses? A: We looked at everything that we could think of that might interfere with our results: age, gender, race, income, level of education, numeracy, and literacy. We asked what their self-reported health was, the number of times people saw a doctor per year, their insurance status, and the number of pills they took a day. There are some things that are statistically significantly different between the categories. 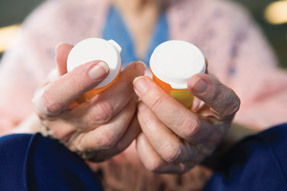 Older people, for example, say that taking pills affects their quality of life a little bit more than younger people. In general, men have a little bit larger quality-of-life effect. The number of pills people take at baseline also affects their response. But because these numbers we're looking at are so small, we're talking about 0.993, 0.995, we don't really think that it's going to be all that helpful for individual physicians to use the demographics that we used in their prescribing practices. Q: What lessons should physicians take from the study? A: The general idea was that people don't like taking medication. It's going to be impossible to predict who doesn't like taking pills just based on the demographics, but I think understanding that there are differences among people is important. We all know that compliance isn't 100% with medication regimens for a variety of reasons. It does reinforce the idea that physicians should be having these discussions with patients about how this affects their quality of life, especially for patients that are not as compliant. Ask them if it's something that they're willing to do before we prescribe medications. This is a pretty significant effect on people's quality of life. It's not huge, but when we think about this over a period of years or decades, then we really have to think about what we're doing to patients [by prescribing lifelong medications], and make sure that they're on board with us and have the same ideas in terms of what we want for their medical care. Q: What are other implications of the findings? A: It's probably more pertinent on a population level, specifically when looking at policy decisions. Policymakers look at these cost-effectiveness analyses to decide whether or not to implement or pay for a certain intervention. We hope that our data can be used to make these cost-effectiveness analyses more accurate, so that policy decisions will be more appropriately decided. Q: Is there any additional research you hope or plan to do in this area? A: One thing that we wished we had done, and we probably would have had we had more resources, was actually talk to people in depth ... especially these people who were at the far end of the spectrum and said that this really affected their quality of life. We wished we had been able to interview those people and find out why exactly, for them, this was such a big deal. We've talked about repeating the study, but picking out those people who were the outliers and finding out a little bit more from them. 1. Consider the legal and ethical framework for withholding/withdrawing LST. 2. Assess the consequences of utilizing or forgoing LST in this particular instance. 3. Assess the patient's decision-making capacity. 4. Make a decision regarding LST. 5. If the decision to withhold/withdraw LST is made, there must be a detailed treatment plan to actively manage distressing symptoms and provide support to patients, families, and clinicians.